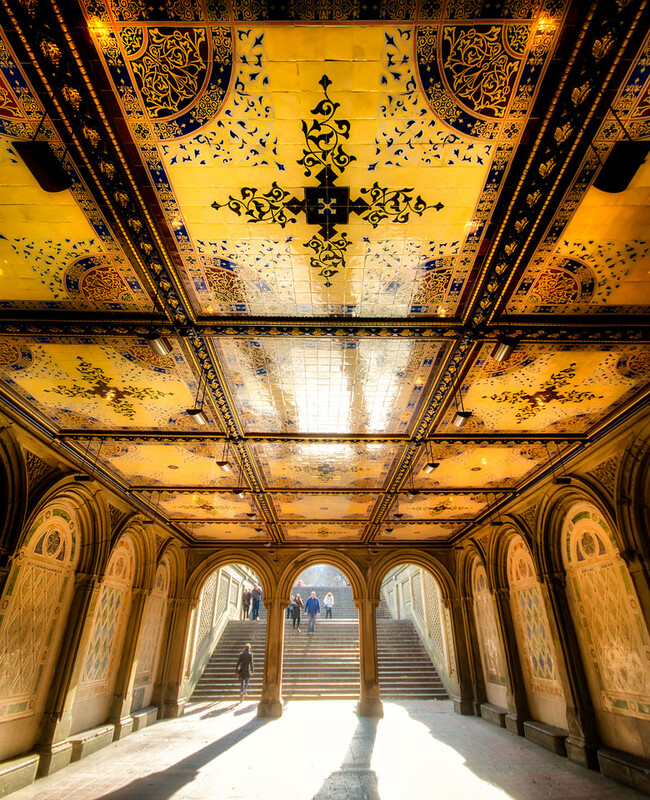 This hallway can be found in the midst of Central park, at a place called the Bethesda Fountain. I was walking through this little hallway here with a violin player (well, he actually played the Chinese Erhu) in the back and the sunlight falling perfectly into the dark tunnel. The light created a beauty on these walls with its golden colour and its darker ornaments, I loved it! I would not have expected to find something like this in Central Park to be honest, but as I saw the place on the good old internet before, I just had to find it. Funny enough, while searching, I was standing ON TOP of the tunnel on the Bethesda Terrace, wondering why I can not find it, haha.